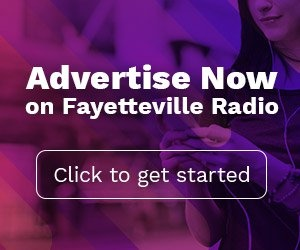 Do Millennials Listen To Fayetteville Radio? Business Owners Ask. It's time to set some misguided Fayetteville small business owners straight. When we say everybody listens to Fayetteville radio, we mean EVERYBODY. Generations X, Y, and Z. Boomers, And, yes, millennials. You know...millennials. Those are the "kids" who came of age at the turn of the millennium (which is debatably either 2000 or 2001). This means 18-34 year olds. In the Fayetteville metro (Cumberland and Robeson counties) 117,000 millennials make-up exactly one-third of the population and will deliver $2.1 billion dollars to local cash registers. But here's the thing about millennials that many Fayetteville small business owners get wrong: millennials listen to the radio. Almost all of them. 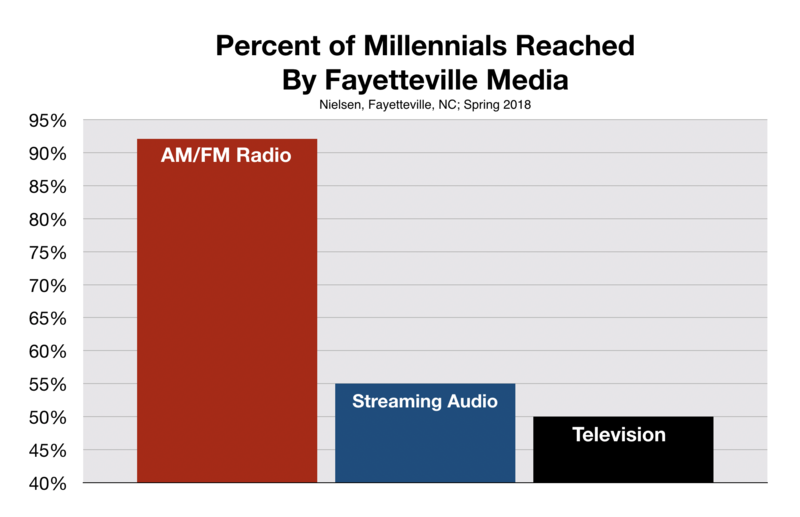 Despite a proclivity for all things digital, significantly more millennials tune-in to Fayetteville radio each week than watch local TV or visit streaming audio sites such as Pandora or Spotify. Just to be clear, millennials aren't casual radio listeners. They spend almost 2 hours per day, every day, glued to their favorite Fayetteville radio stations. 1. New music discovery. 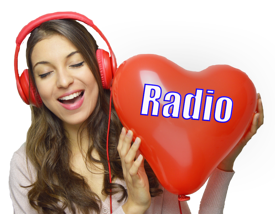 Despite the abundance of digital music services including iTunes, iHeart, Pandora, Spotify, and YouTube, consumers still depend on local AM/FM radio stations to find their next favorite band or song. A recent study by Nielsen found that 72% of all new music discovery happens on AM/FM radio and an over-air the air station's simulcast stream. No other source comes close. 2. News/Information: The first regularly scheduled radio broadcast in 1920 was a news program. It was heard primarily by young hobbyists who could build their own radios. Flash forward, to 2018. Millennials, according to Nielsen, spend more time engaging with radio news content every month, than with TV news services or digital news services. 3. In-Car Listening. According to Nielsen, two-thirds of Fayetteville millennials use a car every day to commute to work. The average daily commute time spent commuting: 49 minutes A recent study by Edison Research, reveals that 66% of radio listeners tune-in exclusively in their cars and nowhere else. In July of this year IPSOS, a global research company examined how advertising affected Amazon's sales during the 36 hours of Amazon Prime Day. To collect data, IPSOS surveyed 2,010 Americans 18 and over with an online survey during and after the event. According to Pierre Bouvard, Chief Insights Officer at Westwood One, the company that commissioned the study, among all adults who were aware of Amazon's Prime Day radio advertising, 25% made a purchase. The radio ads, among this broad audience, delivered about as well as online ads, and 13.6% better than television ads. Where, radio really delivered for Amazon was among millennials. Thirty-eight percent of this audience that was aware of the ads on local radio made a purchase during the Prime day event. Radio performed 18.7% better than online ads and a whopping 22.5% better than TV ads. A similar study conducted a few years ago demonstrated strikingly similar results. When media and marketing expert Doug Schoen saw the results, he was amazed. "The implications of results like these," said Mr. Schoen, "are profound for the communications and advertising industries and as a marketing professional with over 35 years of experience, I found this data nothing short of fascinating. It’s quite clear that we should all be paying more attention to radio, its reach and potential to help our businesses. It’s doing the job with expert efficiency."